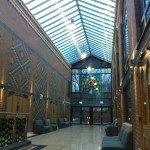 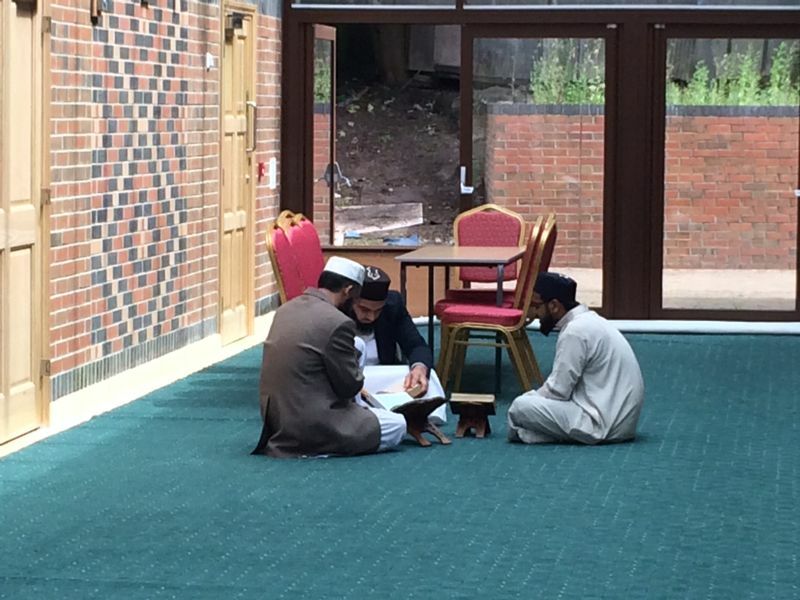 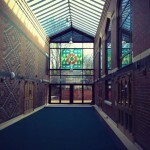 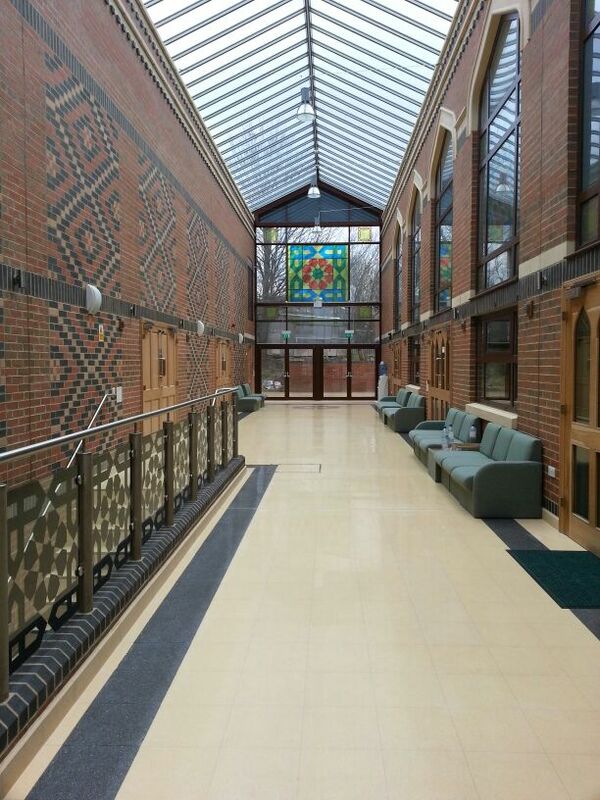 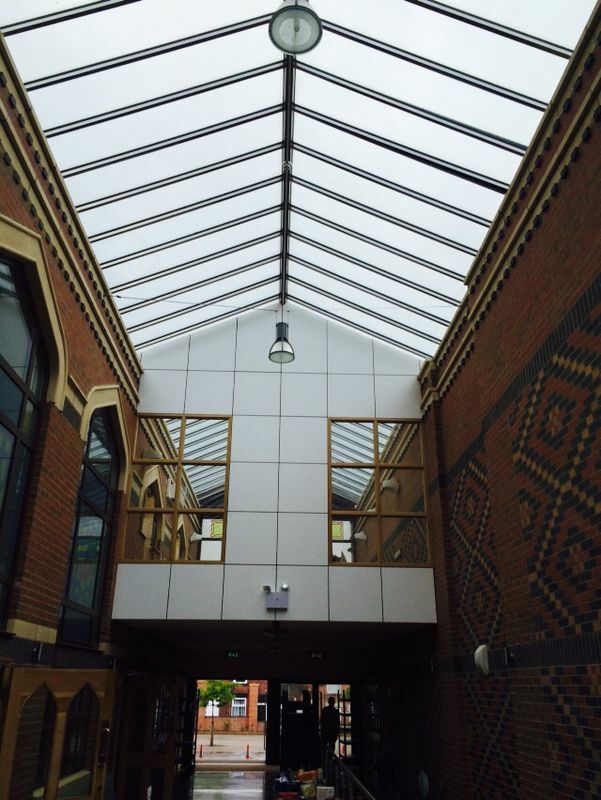 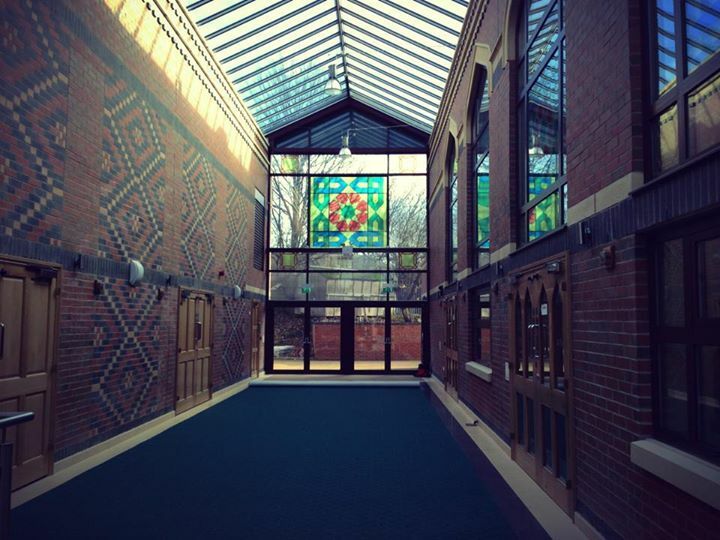 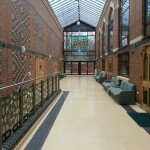 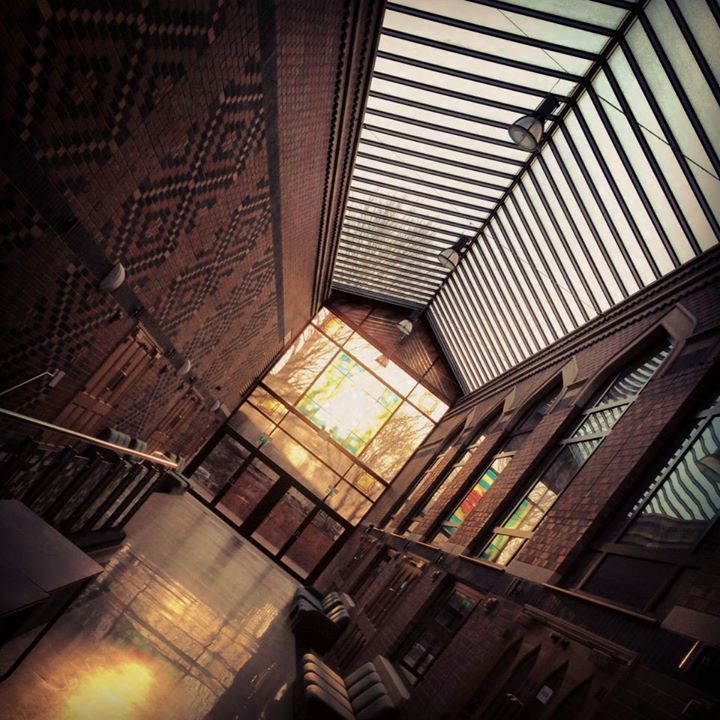 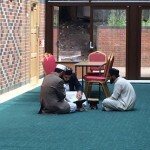 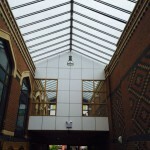 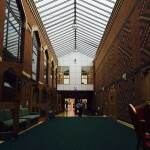 The Ashton Central Mosque has an atrium hall which serves as a neutral space between the mosque and community centre. 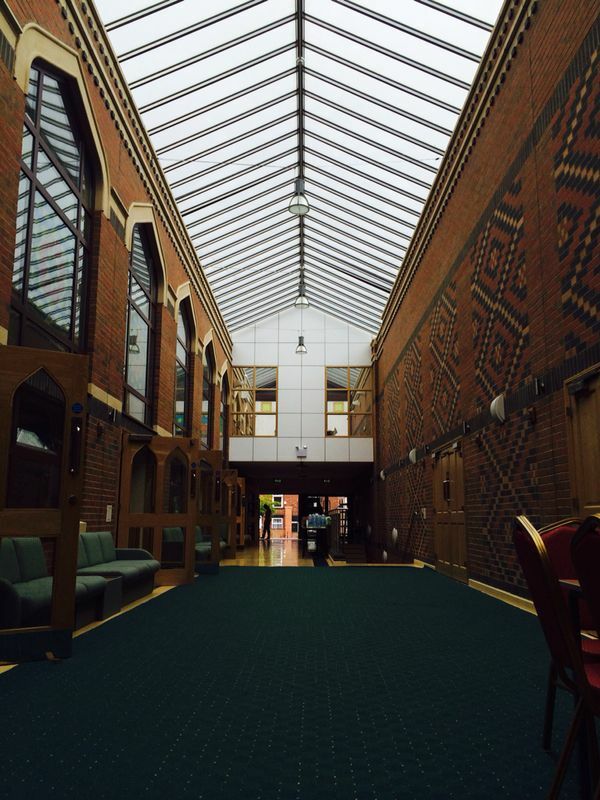 The atrium is equipped with under flooring, 23 seats and a water dispenser, daily urdu/english newspapers as well as tea facilities during prayer times and television. 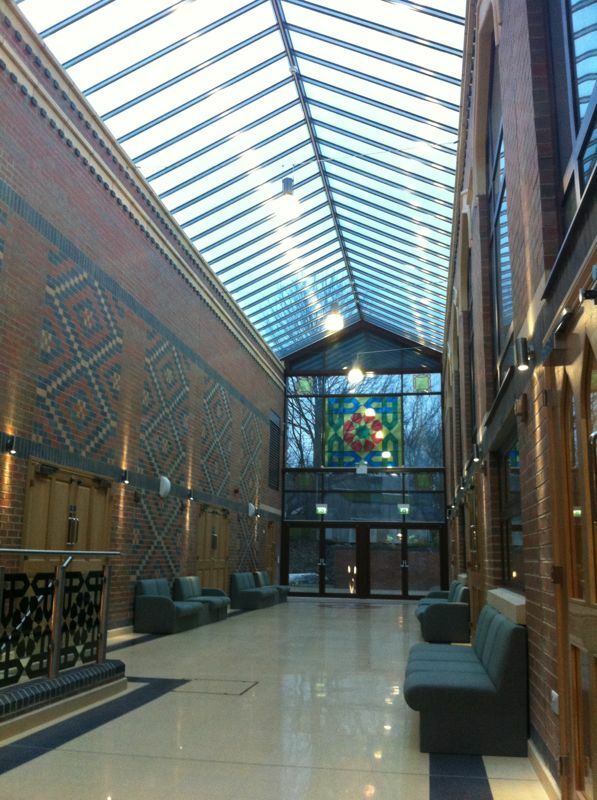 The atrium area is controlled with automatic windows to enable the flow of fresh air and a scenic panoramic roof.